Wildlife monitoring plays an important part in conservation. If you know what is around, and what isn’t, you can make the right choices in land management. 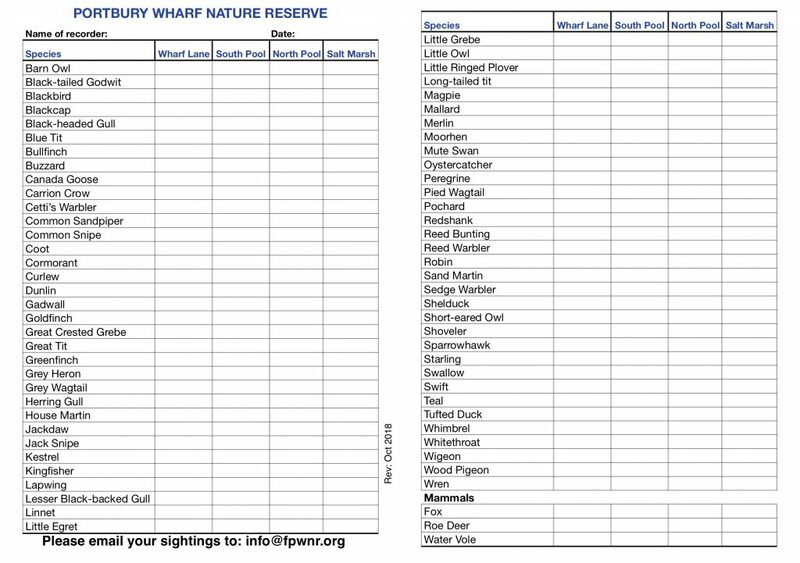 So we are counting the wildlife here at Portbury Wharf Nature Reserve. In spring and early summer of 2018 we did orchid and dragonfly surveys with the warden. Now we are counting birds. This count will be on-going, so we can record the winter and summer visitors as well as the resident birds. If you would like to help, please get in touch. Experienced watchers will be on hand so you do not need to be an expert. We send the results to regional / national conservation groups so they can compile with other counts to give a broader picture. It also seems like a good idea to add our counts to the species pages which we will be writing for this website. 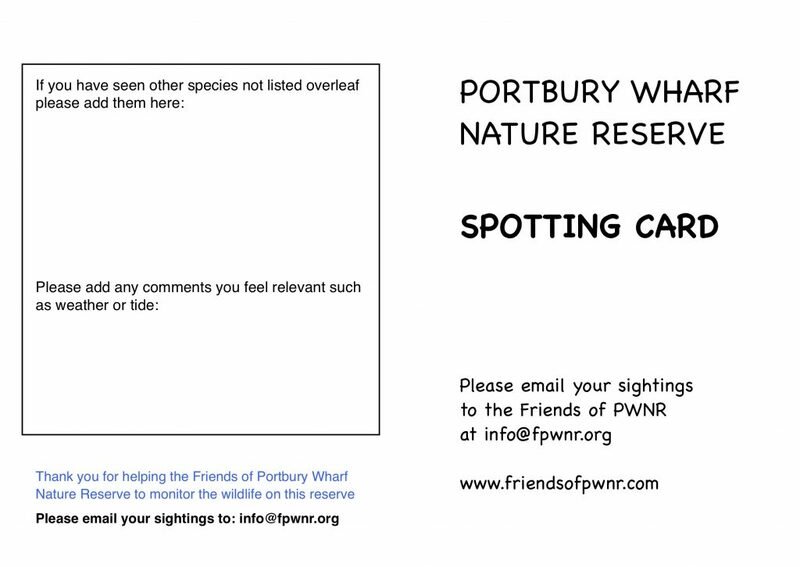 Consequently, over time, we will be able to see at a glance how each species at Portbury Wharf is doing. We have created a Spotting Card to help us record the bird numbers. You can download it if you want to do your own count, just email us the results. Error: Error validating access token: Session has expired on Sunday, 31-Mar-19 15:12:08 PDT. The current time is Saturday, 20-Apr-19 13:20:51 PDT.